Speaker and author Jonathan Wilson-Hartgrove brought the keynote message at Churchnet’s 2014 Annual Gathering. He started his message by recalling hearing bombs falling in Baghdad. 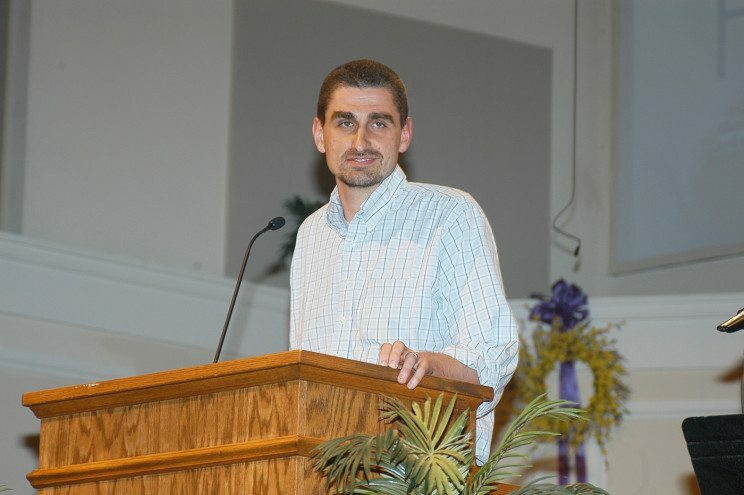 Wilson-Hartgrove and his wife, Leah, joined other Christians in traveling to Iraq just as the U.S. government launched its 2003 “shockand- awe” military campaign. Recounting some of the stories from that experience, including seeing Iraqi Muslims live out the role of the ‘Good Samaritan’ to some of his wounded colleagues, Wilson-Hartgrove shared that he learned about hope from that experience. Pointing to Psalm 130, from which the theme passage for the weekend gathering came, Wilson-Hartgrove noted that “the psalmist begins in the depths.” He pointed out that the psalmist cried out from the depths but then spoke of finding hope in the Lord. After returning from Iraq, Wilson-Hartgrove and his wife started an intentional Christian community they named “Rutba House” (after the city of Rutba in Iraq). He describes Rutba House as “a house of hospitality where the formerly homeless are welcomed into a community that eats, prays, and shares life together.” His most recent book, Strangers at My Door , includes many stories about life at Rutba House. Wilson-Hartgrove noted that one “Baptist hero” he continues to “lean on quite a bit” is Clarence Jordan. In 1942, Jordan co-founded Koinonia Farm in southwestern Georgia as a multi-racial Christian farming community. Despite violent attacks from the Ku Klux Klan and a devastating economic boycott from the local community, Jordan and the community persevered. Jordan later wrote the Cotton Patch Gospel and played a pivotal role in the creation of Habitat for Humanity. He added that he remains hopeful as he visits other Christians taking seriously this idea of living out the resurrection hope.